Some companies claim to offer “mold removal,” but this actually isn’t possible. In fact, complete mold removal isn’t even desirable. Mold exists throughout any natural environment, and sanitizing a space to the extent that mold is completely removed is not feasible. Mold remediation involves lowering mold within a home or business to acceptable and healthy levels, in addition to removing toxic molds such as black mold. 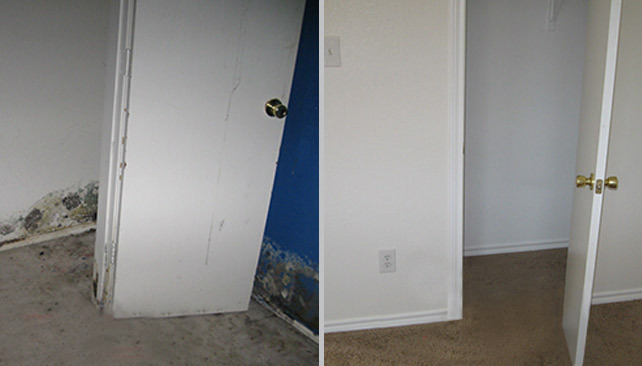 Pro Restoration’s Las Vegas mold remediation services involve a comprehensive testing and remediation process to ensure that your property is habitable and safe. 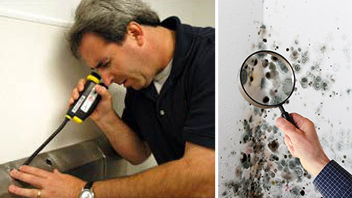 We provide mold inspection services should you be concerned that your property has mold, and will solve the problem if we find harmful levels of mold. Prevent The Growth Or Spread Of Mold In Your Home Or Work Place. create a wet environment, promoting mold growth in the closed areas. 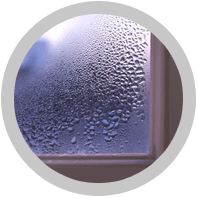 inside the home or building provides moisture that mold needs to proliferate. can accumulate dust and debris that create a breeding ground for mold. Mold can grow thanks to a wide range of factors, but Pro Restoration is here to solve your mold problems. We’ll make sure your property is free from harmful mold with our fast and effective mold remediation service. Our team even provides water damage restoration and repair services should your mold be caused due to water problems. 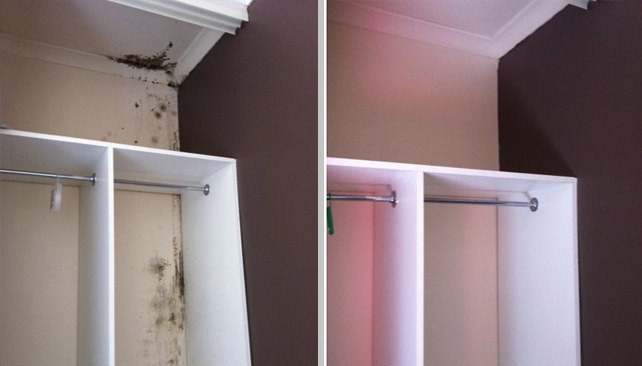 » Fursarium – In order for this type of mold to grow you need extremely wet conditions. It is found in materials like moist wallboards and water reservoirs. This is the least dangerous of the molds types listed and is only a threat to those with a weakened immune system. » Penicillium/Aspergillus – Both of these types of mold can be found in damp surfaces such as wet fabric, wallpaper and wallboards. These types of mold cause severe allergies when inhaled and thrive indoors. 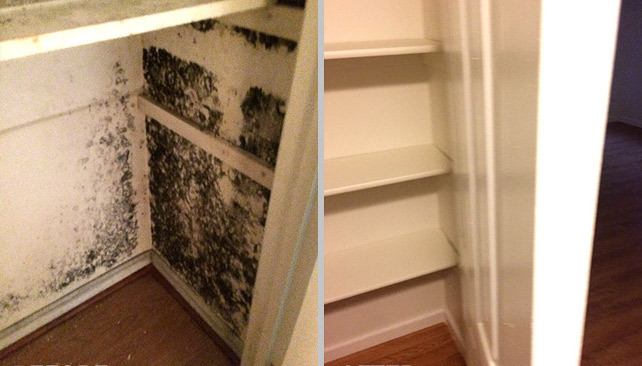 » Stachybotrys or ‘Black Mold’ – Is found when either wood or paper has been wet for several days. It is considered the most dangerous type of mold to your health because it is airborne and is easily spread to humans, causing serious allergies and influenza. Black Mold is especially dangerous to children or people with compromised immune systems and it can be potentially lethal. Pro Restoration does not do mold testing rather then visual Mold Inspection. Experts at Pro Restoration will perform a Mold Inspection, visually determining whether or not there is mold growing on site and will act fast to remove any mold that has been detected. Versus mold testing can be a tedious and time consuming process. 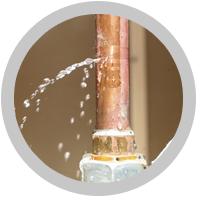 Typically testing is done by a specialist outside of restoration companies and can be very costly, as a sample is taken at the scene and is sent to a lab where the results can take anywhere from 3-5 days! During that waiting period, the mold will multiply and the problem will only get worse! Experts at Pro Restoration will perform a Mold Inspection, visually determining whether or not there is mold growing on site and will act fast to remove any mold that has been detected. Why Pay For Mold Testing When Inspection Is Free? 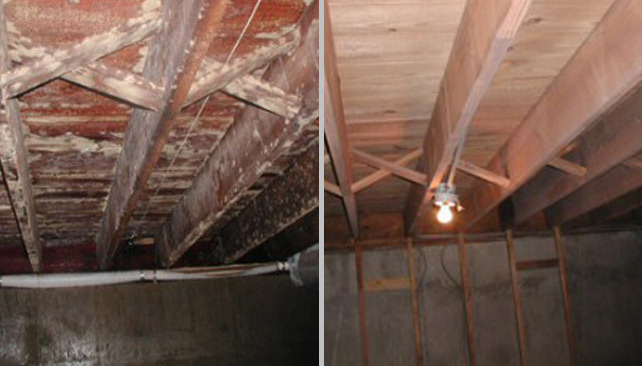 Pro Restoration’s mold remediation services are fast, effective, and most importantly comprehensive. Our team is available to assess your mold issues with a mold inspection whenever you need, with 24/7 emergency services available for your convenience. 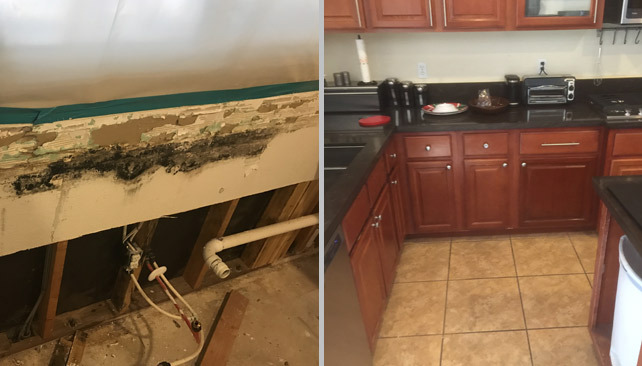 Pro Restoration’s technicians use cutting-edge containment and filtration techniques to remove toxic mold from your property, restoring healthy and habitable mold levels. 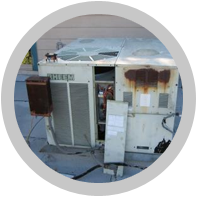 If you’re in need of a mold inspection or mold remediation services in Las Vegas, Henderson or anywhere else in Clark County, contact Pro Restoration today.